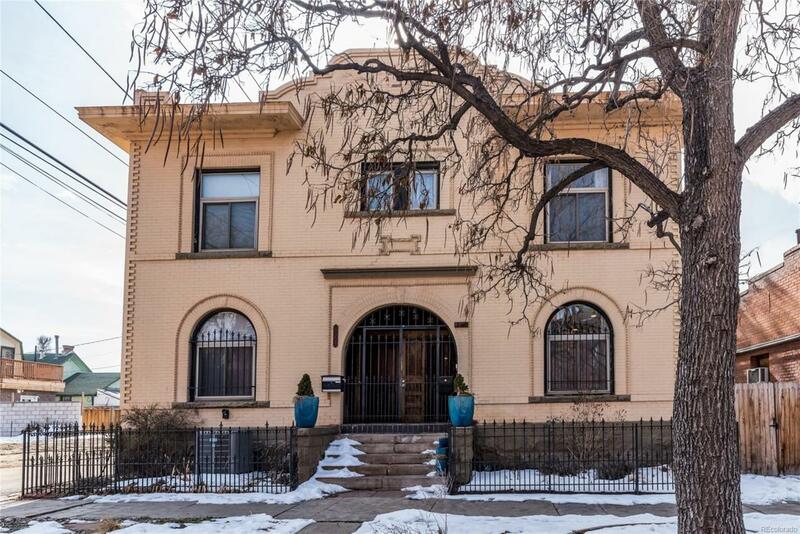 This fabulous duplex in the heart of the Historic Curtis Park neighborhood has been completely updated and is all about location, location, location. Three bedrooms upstairs, full updated bath with claw foot tub. Large master bedroom. Third bedroom has a large 2nd story deck with views of the Denver skyline. The main level is open, has original hardwood floors and large kitchen. There is a basement with tons of storage, laundry area and bonus game room. The attention to detail in creating this functional kitchen is amazing and it shows. Exposed brick, wood shelves, updated cabinets, new appliances, extra seating/bar area and leather like granite counter tops. The fenced in private backyard is landscaped with large deck and garden area . There are two rare off street parking spaces with one behind a fence at the side of the property.